Are you looking for ways to increase both the overall value and functionality of your home? 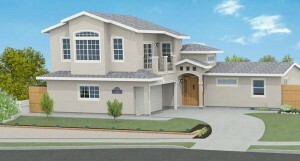 If so, then you may very well be considering the option of San Diego home additions. Not only can these give you a significant amount of increased living space to work with, but they can also transform your home’s exterior appearance. Not to mention, there are a variety of different options when it comes to home additions in San Diego that can serve a functional and aesthetic purpose for your home. So if this is something you would be interested in, what are some home addition ideas to consider? If you are the type of person who enjoys being able to get work done and be productive at home but do not currently have a home office, an addition can be the perfect way to get that office you have always dreamed of. Not to mention, having an addition constructed on its own wing of your home’s existing structure is a wonderful way to give you the privacy, peace, and quiet that you need to stay focused and on-task while working from home. If you are the type of person who likes to entertain, why not add a large game room or den to your existing space? This can be a great way to make entertaining at your home a lot more fun and to give you much more space to work with. The possibilities for a game room are basically endless; you may even consider having a home theater system installed for an amazing entertainment experience. If you are more of a nature person, why not consider adding a sun room to your home? With abundant windows along the perimeter of the addition, you can enjoy the comfort of being inside with the illusion of being outside. This is a wonderful way to enjoy a rain shower or thunderstorm. Just imagine yourself curled up with a great book in your new sun room or sipping a cup of your favorite coffee or tea as you gaze outside. Above are just a few San Diego home additions to keep in mind. However, the possibilities for home additions in San Diego are truly endless and only limited by the scope of your imagination. Be sure to consider some of the above ideas or think about your own wants and desires to come up with one that would work for you. This entry was posted in Home Remodeling, Room Additions on January 31, 2013 by budgeit.